Reviewer's note: Hello! Welcome to the first part in our five-part series reviewing Batman - The Telltale Series, an episodic adventure game. This is the first episode and this review will be completely spoiler-free! However, subsequent episodes will necessitate some discussion of what came before, so they will be spoiler-free for the episode being reviewed but not necessarily for the previous episodes in the series. On with the review! I love Batman. I've been a Batman fan since I was a kid, and a lot of it was propelled by Tim Burton's 1989 Batman movie. Ever since then, anything Batman has piqued my interest. There has been plenty of ups and downs for the Dark Knight, but we've been on a real good streak in the video game world since Batman: Arkham Asylum. Batman - The Telltale Series, though completely different in nature, continues that streak of quality Batman video games. 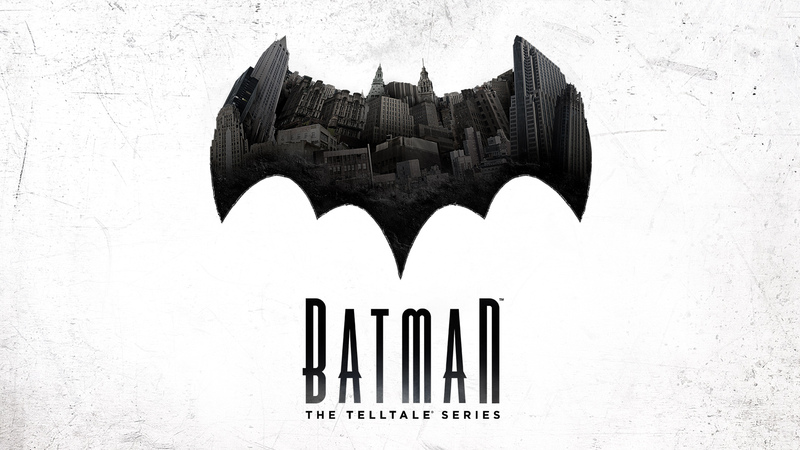 Batman - The Telltale Series is an episodic adventure game in the same form Telltale Games has been famous for for quite a while. Rather than picking up one of the many interpretations of Batman, such as the movies or Rocksteady Arkham series video games, Batman is a new take on the character. After Batman foils the theft of an encrypted data device from city hall, Bruce Wayne is caught in a political knife fight over his support of Harvey Dent's campaign for mayor. Bruce Wayne and Batman fight on two fronts to uncover who is behind some vicious attacks on the Wayne family legacy and who called for the city hall break-in. If you've played any recent Telltale adventure games, particularly The Wolf Among Us, you know how this game is going to play. If you haven't, these are cinematic adventure games, where the bulk of your interaction comes through dialog choices. In Batman, you spend most of the game as Bruce Wayne, playing the politics game in Gotham City. Where nearly every other Batman game focuses on punching bad guys, Batman - The Telltale Series takes a refreshing break from the cowl to put some serious metaphorical knives at Bruce's back. There's a point in the early game where I made a choice as Bruce that was supportive of a friend of mine, but looked real bad in the public eye, and the game never let me forget it. It kept coming up, and I could try to explain it away as Bruce, but it wasn't something Batman could punch until it was solved. I liked that it held me to my actions, even if it felt a little overboard, because I made a big decision at a split second. Making you feel like you're in some control over the story is what Telltale Games does best, and Batman is no exception. Being the first episode in a series, there's a lot of scenes establishing characters. Obviously, Thomas and Martha Wayne (Bruce's murdered parents) are plainly present, but Telltale manages to give some characters an alternative look. They're instantly familiar in many ways, but different enough to give one subtle reminder: what you think you know about Batman doesn't necessarily apply here. Familiar characters, familiar setting, but this is definitely Telltale's game and doesn't have to strictly adhere to comic book, or movie, or TV show, or video game Batman universes. Again, I love this because it's keeping me on my toes. I've got two minor complaints about this first episode. The first is that the action is pretty fast (for an adventure game), and the button prompts aren't 100% clear when it came to directional movement. I learned quick that a prompt that looked like a clockwise half-circle moving right to left really just meant push left. It's a minor complaint, but I came off as a very rookie or drunken Batman in my first fight because I was trying to do too much to match the prompt when the actual input needed was much simpler. It's something I caught on to quickly, but it was an annoyance. The other minor complaint is that the game didn't run great. I'm not running on brand new hardware, but my PC runs much more graphically intense games than this with fewer hitches. It's good looking, but it's still the simple mostly flat style many Telltale games have. I can't really explain why it didn't run better, and the hiccups were largely between scenes, but it was noticeable. Perhaps the console versions run better. Batman - The Telltale Series Episode 1: Realm of Shadows is a mouthful, but it's easy to recommend to Batman fans and Telltale adventure game fans. Even if you don't fit within those tastes, the political and class machinations are already heating up in this first episode. It's a strong start and I'm very excited to see what comes next. This is what I expected from Telltale; a quality game taking characters I know and giving me an experience that doesn't feel like it's completely retreading well-worn territory. Bonuses: +1 recognizable Batman characters now in a different universe from what we've seen before.